Baruch Hashem, one is hard pressed to be around a ben Torah (an observant Jew) for more than a few moments without hearing the words baruch Hashem leave his lips. Yisro too uses this expression after hearing from his son-in-law, Moshe, “About everything Hashem had done to Pharaoh and to Egypt… And Yisro said, ‘Baruch Hashem! Who has saved you from Egypt and from Pharaoh.’ (18:8- 10)” It is noteworthy that our Sages are outspokenly critical of both Moshe and the rest of our nation for not having said baruch Hashem! There are a couple difficulties with this Gemara. Firstly: Although it is true in a technical sense that the Moshe and the Jews never actually said “baruch Hashem” after leaving Egypt, they did sing the most beautiful shira at the Red Sea, thanking Hashem for the miracles and salvation they had experienced. What was it, then, that was missing? Also: What is the connection between Yisro’s saying “baruch Hashem” and the ensuing discussion of Rav and Shmuel as to the meaning of va-yichad? It is significant that Chazal do not obligate us to thank Hashem for bad just as one thanks for good. To thank in Hebrew is le-hodos. To bless is le-vareich. To thank Hashem for something one is not really thankful for would be both dishonest and facetious. It is a common misconception that to bless Hashem is just another form of thanks. In fact, when we say, “baruch Hashem,” as we do at the beginning of every beracha we make, we are not thanking Hashem, but rather recognizing and acknowledging that Hashem is the origin of all sustenance: Blessed are You, Hashem, our G-d, King of the Universe… – You are the source from which all sustenance flows. By blessing Hashem for the good and for the bad, we acknowledge that Hashem is the source of everything. Ultimately, we realize that even what we perceive as bad also comes from Hashem, and thus must, in the grander scheme of things, be for our good, even if it’s sometimes difficult to see how. As the famous expression goes, “Gam zu le-tova/Even this is for the better.” Still, because it feels bad for us, it is not possible to obligate one to thank Hashem for it. By blessing Hashem “even when it hurts,” we affirm that our belief in Hashem is stronger than our feelings, emotions and perceptions. Yisro, according to Shmuel in the above Gemara, found listening to Moshe’s description of the destruction of Egypt painful and distressing. This country had once been his home. Although he had by all means distanced himself from their evil and corrupt ways, in his heart he had hoped that they would succumb to Moshe’s request for freedom, thereby recognizing Hashem and saving themselves. That things hadn’t worked out that way, and that thousands upon thousands of people who had once been his friends had perished as a result, was a bitter pill to swallow. 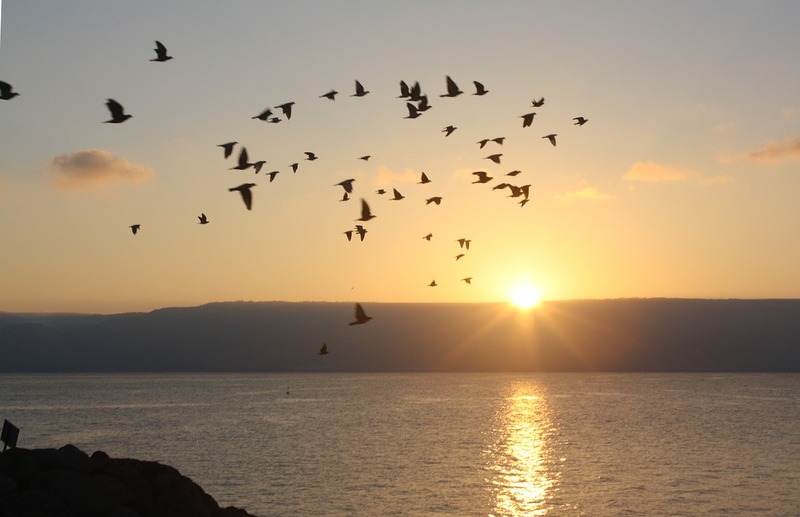 “Baruch Hashem – Blessed is Hashem,” were the only words he could find that could both allow room for his pain, yet at the same time recognize that this too was from Hashem. While the Jewish nation did express their gratitude and thanks to Hashem in their Song of the Sea, says R’ Papayus, they never said “Baruch Hashem.” Their song focused strictly on the salvation and miracles of Hashem. But, to their disgrace (R’ Papayus’ words, not mine), we never find them blessing Hashem for everything they went through – not only for the salvation, but for the slavery and subjugation as well. They failed to recognize, at least verbally, that Hashem is not simply the “Superhero” who swoops down at the last minute to save the oppressed from the hands of their oppressors; Hashem is also the One who put them there in the first place. Perhaps this is why the ensuing Gemara goes on to discuss the opinion of Shmuel, that “va-yichad Yisro” refers to the goosebumps on Yisro’s skin as he painfully listened to Moshe’s description of the demolition of his former homeland. It is to explain to us in what way the “Baruch Hashem” of Yisro was so different and original. So the next time you ask someone who’s got a bad case of the sniffles how things are going, and he gives you a hearty “Baruch Hashem,” understand that he’s not being coy. Sometimes things just don’t go the way we’d like – baruch Hashem for that! This week’s publication was sponsored by R’ and Mrs. Pesach Kessler, in honour of the wedding of their son, Refael Shimon, to Chaya Esti Heimfeld, daughter of R’ and Mrs. Yosef Heimfeld. May they see much nachas from all of their children!